Not ready to redo your entire kitchen? Are your cabinets still good? 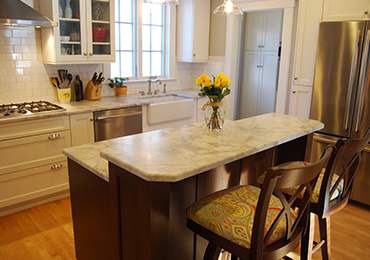 We can replace just your countertops in only one day! Visit Our Indoor Slab Showroom and Browse 100’s of Colors and More Than 1,000 Slabs! Stone can be used in infinite varieties and shapes to produce a one of a kind pieces that will compliment any design scheme. 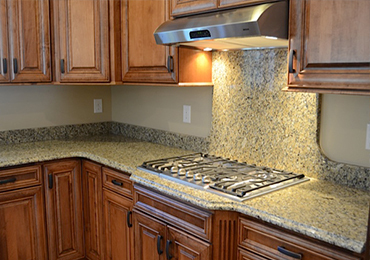 Use this quick tool to mix and match cabinet, countertop, floor tile and backsplash options in different kitchen settings. 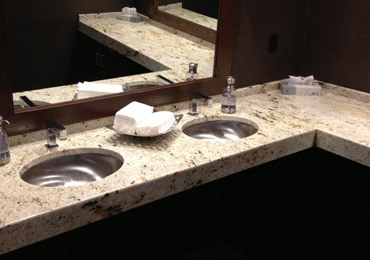 We have the newest and largest stone countertop showroom in the area featuring working displays of kitchens, bathrooms and more.